engagement is connecting consumers to their brand purpose and mission. trust. 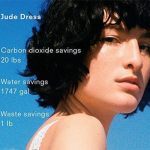 Here Sustainable Brands offers five inventive new ways to actively connect with the growing segment of conscious consumers. © 2016, Martiene Raven. All Rights Reserved.